Protracted Healing Period Under NYS Workers' Comp Laws? 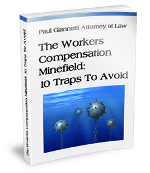 What Is Protracted Healing Period Under New York State Workers’ Compensation Laws? In the state of New York, cases involving a scheduled permanent partial disability can get complex. If the Workers’ Compensation Board determines that the healing period exceeds the normal healing period allowed under the Worker’s Compensation Law (Section 15(4-a), then awards for the protracted healing period (PHP) may be added to the award. For example, if a worker’s compensation claimant incurs 25 percent permanent loss of the use of an arm and the claimant has been unable to work for 40 weeks instead of the 32 week normal healing period, the award is 78 for schedule plus 8 for protracted healing, which tallies up to 86 weeks. NY Workers’ Compensation Law breaks down the amount payable to those injured on the job into two broad categories – scheduled losses and unscheduled losses. The concept of PHP only applies for schedule loss of use awards and serves to increase the amount of settlements. Scheduled loss of use relates to specific injuries on body parts outlined in the workers’ compensation scheduled loss of use chart. It is a fixed amount of compensation to knees, hands, ankles, fingers, arms and other body parts. This means that injured workers get a fixed benefit determined by the injury. Every schedule body part has a maximum cap expressed in terms of weeks that are outlined by the legislature at WCL 15. The state of New York defines the normal healing period for scheduled injuries. When a claimant remains disabled for a period of time that exceeds the established healing period, additional compensation payments are required. NY statute provides an additional award for protracted healing. In York, claimants have the right to have their schedule loss of use paid in one lump sum without reduction to present value, unless agreed otherwise in a written stipulation. Often, the Workers’ Compensation Board will issue a proposed decision on a single medical report and direct that it be paid over time. However, claimants can request in writing for the award to be paid in one lump sum. Just send off a letter to the board stating, “In accordance with WCL §15(3)(a) through (t) & WCL §25(1)(b), CLAIMANT requests that the total schedule award, less payments already made, be paid in one lump sum. If you’re entitled to an additional protracted healing award, make sure it’s included. It’s just one of the many reasons to hire an experienced workers’ compensation attorney. Unfortunately, many injured workers encounter obstacles in their attempt for workers’ compensation, even when their injuries obviously qualify for benefits. To be covered by workers’ compensation benefits, you must work for a company that is mandated to have workers’ compensation coverage under NY law, an injury that occurred in the scope of employment, give your employer written notice of the incident within 30 days and have medical documentation that states your injury or disability was caused by an on-the-job accident. Your claim may be disputed by your employer or its insurance provider, or you may be shorted benefits. An experienced workers’ compensation attorney can fight on your behalf to ensure that you receive payment for wages, have medical treatments paid for by the workers’ compensation provider, receive compensation for out-of-pocket expenses and receive the right compensation for schedule loss of use awards and PHP awards. If you or a loved one has been seriously hurt on the job, be sure to hire an experienced workers’ compensation attorney to get all of the benefits that you are legally entitled to. 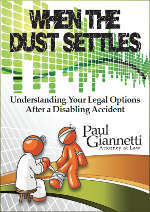 Get the legal help needed to begin the journey to financial and physical recovery.